Alzheimer’s Association: Cooperation, Competition, or Consolidation? 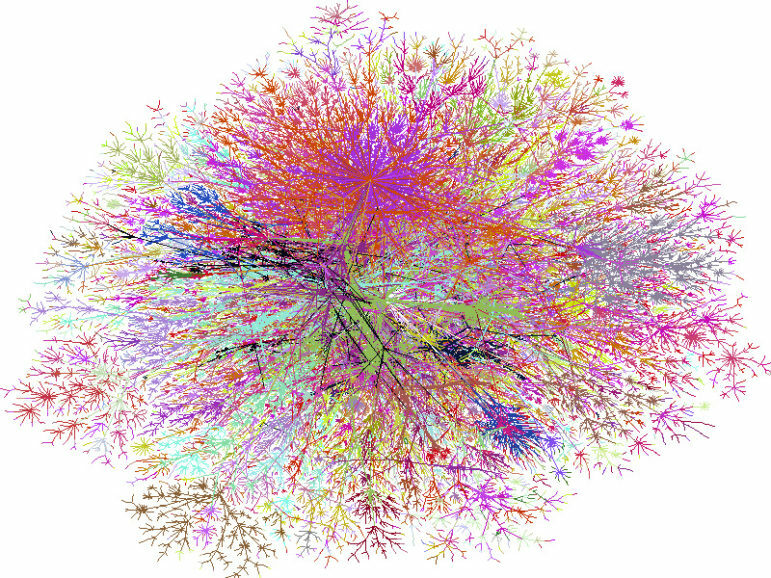 Editor’s Note: The strengths of networks with local chapters lie ultimately in the connection of those chapters to their communities, though this may sometimes get lost. This would not be the first instance in which diversity and efficiency are in conflict in a federated or chapter structure. We have seen hotly contested consolidation attempts in the Red Cross, the Girl Scouts, the March of Dimes, and many other such networks, and if efficiency prevails over diversity, we very often see the consequences in less-well-served local communities. The faceoff between national and local in the Alzheimer’s Association, a contest which has resulted in the defection of a number of local chapters and what is reported to be a territory grab response from the central office, may indicate an unwillingness or inability to compromise, and that could be due to ego or control issues, or it could be due to the need to evolve apart but work together. They’re at it again! The national Alzheimer’s Association’s desire to consolidate its local chapters into a monolithic association is not a new story. The allure of power, control, and money was present when its Statement of Relationship agreement was originally created nearly twenty years ago. This agreement defined their common mission and established the legal relationship between the Alzheimer’s Association (“National”) and individual Alzheimer’s Association chapters (“Chapters”). The National Alzheimer’s Association has decided to consolidate its operations, prompting several former Chapters to disaffiliate, as NPQ has reported. The Statement of Relationship, initially intended to facilitate cooperation between National and Chapters, became a guiding document in the disaffiliation process. Deeply embedded in its culture from its founding, National is driven to fund research, including federal dollars, and to affect federal policy. Chapters were perceived as one of their means to these ends. As a result, the Chapter network grew rapidly from the 1980s through the mid-1990s to more than 220 Chapters. These Chapters ranged in size from sophisticated metropolitan-based Chapters with large resource bases to small Chapters serving large geographical areas with funding challenges. Because Chapters see the face of Alzheimer’s daily at a personal level through their families, equally deeply embedded in the Chapters’ culture is their focus and desire to serve Alzheimer’s patients and caregivers in their local communities. This conflict between National’s focus on public policy and large-scale research and Chapters’ focus on community-based information and services is at the heart of the decades-long stresses endured by staffs and volunteers throughout the Alzheimer’s Association system. When any nonprofit association’s national headquarters and its local chapters don’t agree on the role of chapters in the association’s framework, misunderstandings and resentments can build to a boiling point. During its early growth, National created several ad hoc Chapter affiliation agreements. Recognizing the disparity among these agreements and the need to establish a single agreement for the association, in early December in the mid-’90s, the National board chairman asked me to chair a task force with the mission to create a single affiliation agreement. We first met when National unsuccessfully sought to disaffiliate my Chapter during my tenure as Chapter president. After successfully resolving our dispute on the Chapter’s terms, I was elected by the eight-state Southeastern region as one of their representatives to the National board. When my term ended, the National board then appointed me to serve on multiple committees addressing governance, management, and finance issues while simultaneously serving on my Chapter board. Our task force’s eight months of document drafting work began with a convening by phone in early January. Task force members were equally divided among four National board members and four Chapter representatives. Each member was recognized among their constituencies and the association as a strong, experienced, and knowledgeable proponent and advocate. A National Vice President joined us later. We recognized the organizational and political challenges given the association’s history of contentious relationships and disparate cultural and operational strengths. First, the task force strongly encouraged and provided multiple opportunities for the entire association’s network—Chapter and National board members and their staffs, volunteers, and other stakeholders—to communicate their concerns directly to the task force to consider in drafting an agreement. Second, the task force treated every member of the network equally. We reported out only to the entire network—a fact the National board chair learned when his private request for a prerelease copy of our final draft agreement was promptly denied! Third, all comments initially were assigned to and discussed between rotating pairs of a National and Chapter representative who subsequently lead the task force’s discussion of the relevant issues. Finally, task force members decided an issue based on what they felt was in the best interests of the association. We received more than three hundred written comments. Each was acknowledged in writing and followed up for clarification when necessary. We held lengthy conference calls late on Friday afternoons every other week and sent documents by fax and mail in our pre-Internet world. Through this process, the task force extracted key principles for an agreement. By early summer, the task force circulated an initial draft agreement for comment to the entire association. In August the task force met for a facilitated weekend retreat in Lisle, Illinois—our only face-to-face meeting. Every comment the task force received was written down; more than 70 flip charts plastered the walls. By weekend’s end, every comment was checked off and a final draft completed and readied for submission to the National board. The task force waited two weeks and held one last lengthy check-in call before releasing our final draft simultaneously to the entire association. After substantive review and deliberation over several board meetings, the National board approved our task force’s Statement of Relationship without any modifications and submitted it to more than 220 Chapters. When more than 50 percent of the independent Chapter boards voluntarily approved it, the Statement of Relationship became binding. The remaining Chapters were required to approve it to remain as a member of the association. Since its approval, the Statement of Relationship has provided the framework by which Chapters and National worked cooperatively. The task force recognized the capacity and demonstrated ability of the National to marshal resources in an effort to overwhelm a Chapter and bend it to National’s will often through the threat of disaffiliation. The task force encouraged cooperation by discouraging disaffiliation and established the terms and conditions by which assets were to be distributed upon a disaffiliation initiated by either party. The disaffiliation provisions will be relevant for Chapters that reject consolidation if National seeks to acquire their assets. Based upon the experiences of the 2009 Alzheimer’s North Carolina disaffiliation, National may expend significant resources and require a Chapter to do the same in fighting over who will obtain a chapter’s assets. In this instance, the arbitration panel determined the former chapter was entitled to keep approximately one million dollars in assets in accord with the Statement of Relationship provisions. The panel then unilaterally ordered National to pay the former chapter more than $200,000 in attorney’s fees. If unsuccessful in acquiring a Chapter’s assets, as National was in North Carolina, National then will expend significant additional resources to develop a new Chapter to compete with their former chapter located in the same geographical areas. Similarly, the surviving local Alzheimer’s organization must expend significant resources to establish and maintain its new identity and programs in their community. At its inception, there were National and Chapter board members who disagreed strongly with the Statement of Relationship. Many of today’s Chapter and National leaders weren’t present at the Statement of Relationship’s inception. But they have cooperated, coexisted, and grown the association together in the intervening years pursuant to its terms. Fast forward to the present. Today’s language calling for consolidation of National and Chapters into a single 501(c)(3) Alzheimer’s Association organization seems familiar, as if from this earlier time. Old questions linger beneath the surface: How do “we” meet our joint mission? How do “we” best serve Alzheimer’s patients and their caregivers in our community and fund research? Can “we” trust “them?” The issues and tensions between the Chapters and National appear the same, with only the names and dollar amounts having changed. The reality of a consolidation is that the surviving corporation calls the shots. To “sell” a consolidation may be today’s corporate equivalent of a suitor’s murmuring “sweet nothings”: tempting talk and consultant-driven promises of the value of streamlining and efficiencies, coupled with appropriate homage to continuing local services. If so, they can be quickly forgotten and explained away in the daylight of a completed consolidation. For Chapters, service and job cuts may accompany corporate “streamlining and efficiencies.” Yet this was not where the heart and passion of this association resided. Unlike when the Statement of Relationship was created, there will not be surviving entities to collectively “check and balance” or compel the enforcement of promises made. My involvement with both the National and Chapter of the Alzheimer’s Association ended shortly after reporting out the Statement of Relationship. My volunteer service was a victim of both National and Chapter Alzheimer Association politics. But good agreements, like treaties between warring parties, must contain compromises requiring the parties to work together in good faith over time. Marty Martin focuses his practice on providing legal services and board training for nonprofit and tax-exempt organizations. Martin served on the national Internal Revenue Service’s Advisory Committee for Tax-Exempt and Government Entities (ACT). He is a senior instructor with the Duke Nonprofit Management Certificate program and affiliated with North Carolina State University’s Institute for Nonprofits.